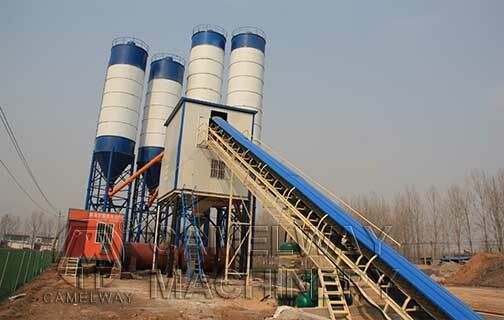 The budget of concrete mixing plant depends on three aspects in the following. 1. The type and quantity of concrete mechanical equipment and raw materials: For the investment of this part, first we must take into account the market demand for concrete, and then according to market demand to obtain the relevant data. According to the data to consult different manufacturers, finally select the equipment that the quality, performance, price, model and other aspects are relatively reasonable. 2. The number of transport vehicles: As for this terms, in the process of producing and supplying the raw materials, we need transport equipment to meet the needs of the users, it will has as many options as possible to be possible period of want or need. 3. The arrangement of the operation personnel and the related expenses: Although it may seem simple, but it is related to the future production efficiency. So a more perfect and professional team is essential.